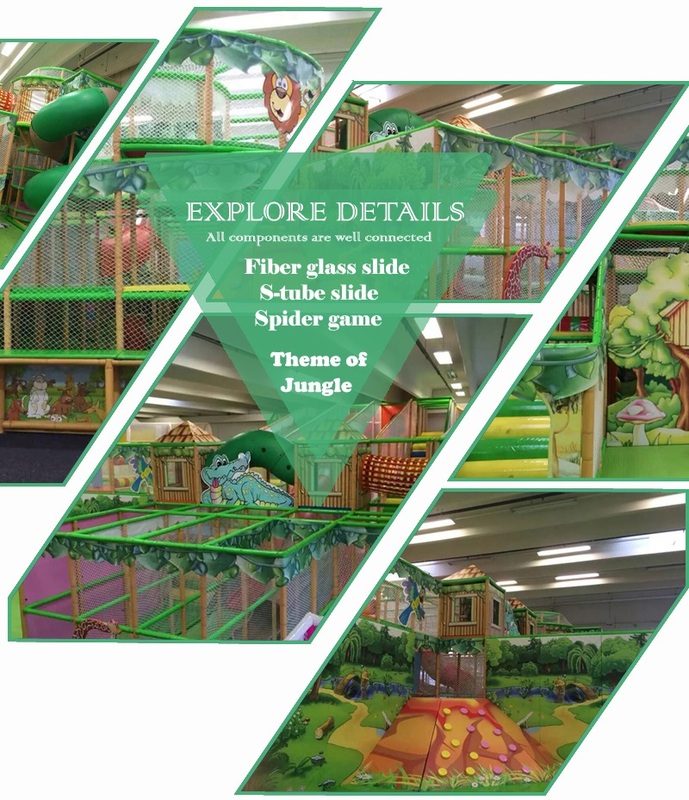 This four level indoor jungle gym have best appearance which will catch kid's breath on first see. The tree house, dragon and hippo head looking so exotic. 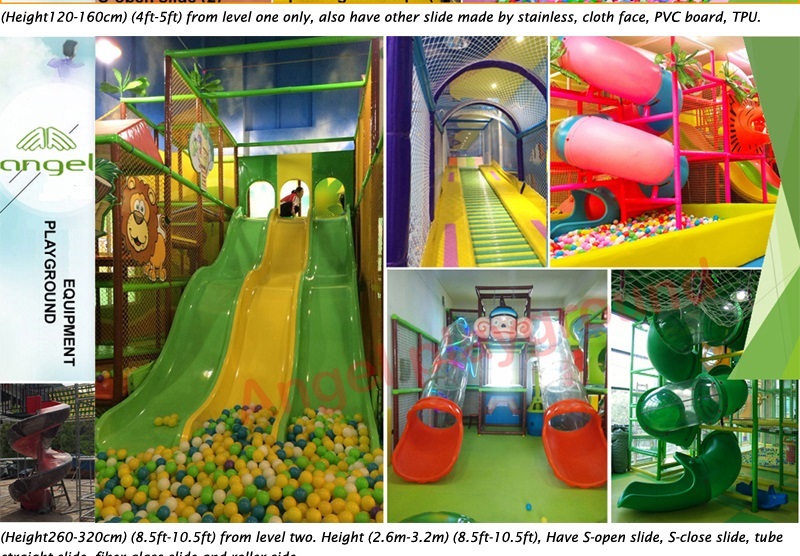 The top level reach 6.5m, kids under 12 years old will find this place as a dream world. 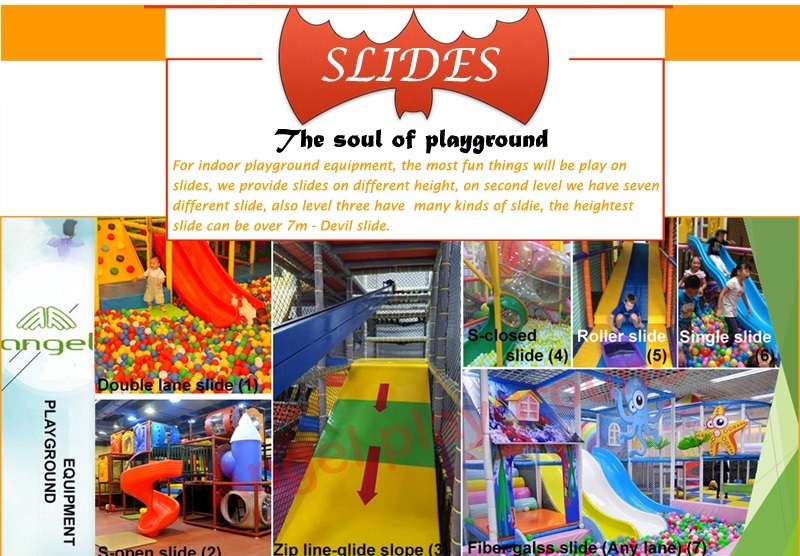 There are so many slide, tunnel, rest station and obstacle inside this design. 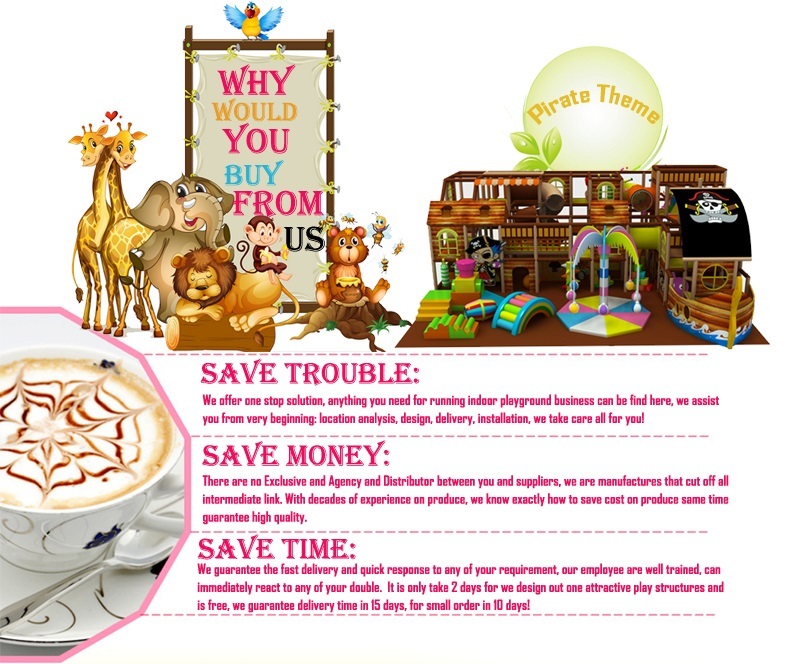 Even have a toddler play area with soft bulking block, trampoline for younger kids, have table and chair for parents to watch their kids, and furniture for kids to play table game after expend their energy on play structures. 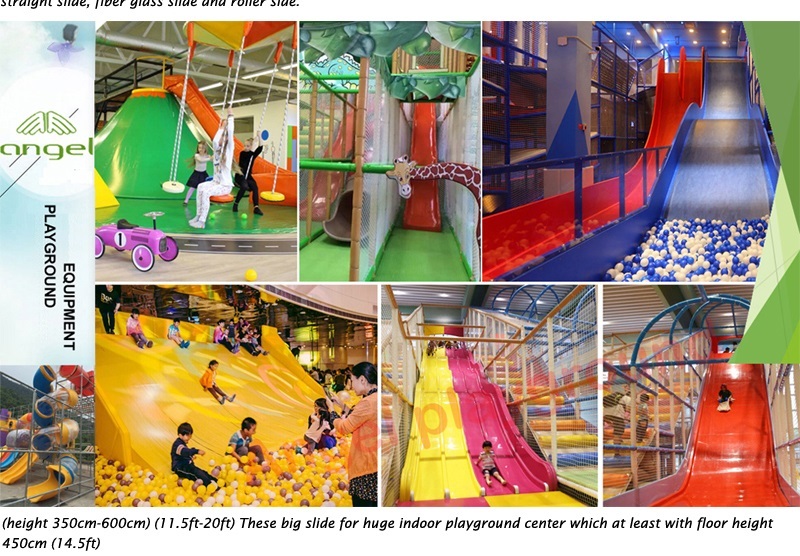 In order to satisfy the need of children's intention to play more challenging activities, indoor play structures have now equipped its play center with equipment that both safe and thrilling for children to play. Some equipment is so scary and thrilling that even parents dare not to take a try. 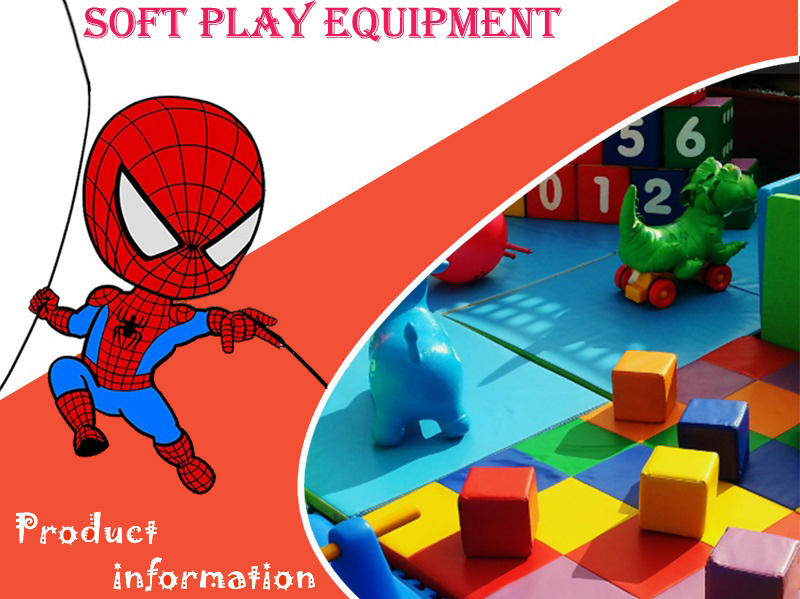 However, children nowadays seem to show little freight toward thrilling things, on the contrary, the more exciting the equipment is, the more popular it is among kids. Can we simply say that such phenomenon showed in indoor play structures is result from the fact that children are becoming brave than the last generation? Maybe not. Their gut showed indoor play equipment are only an indication of kids are after exciting things physically, but when facing with other frustration mentally, most of them will shrink. First thing first,a really brave kid is the one who both strong in mind and fresh. 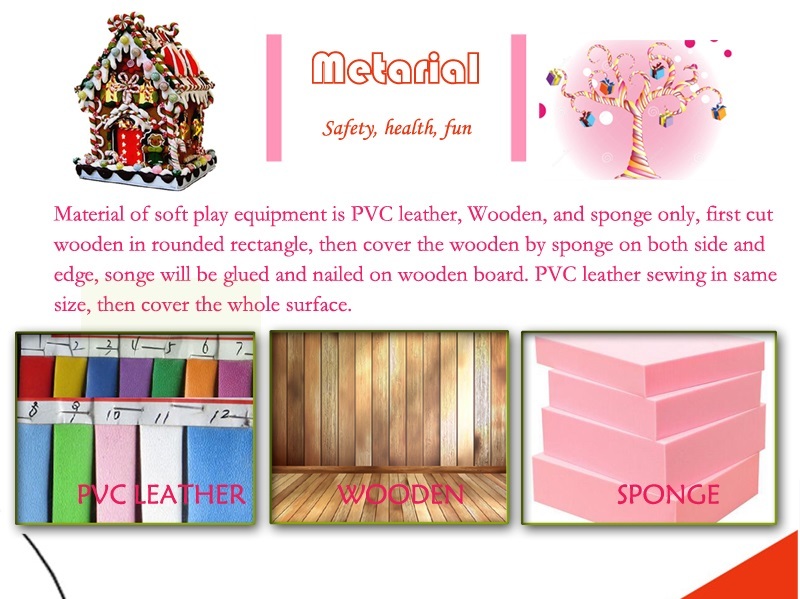 Indoor play structures activities and equipment is the only factor that set up their interest in new and challenging things, therefore, once they are hurt or meet obstacles, most kids would choose to step back. So when children are playing in the indoor playground, parents should give them encourage to defeat obstacles instead of feeling proud of their audacity. Next, the judgment of whether a kid is brave or not is not seen from their passion is doing things, but from the standpoint that whether they can take responsibilities or if they can find a solution independently and give someone else a hand when they need you. 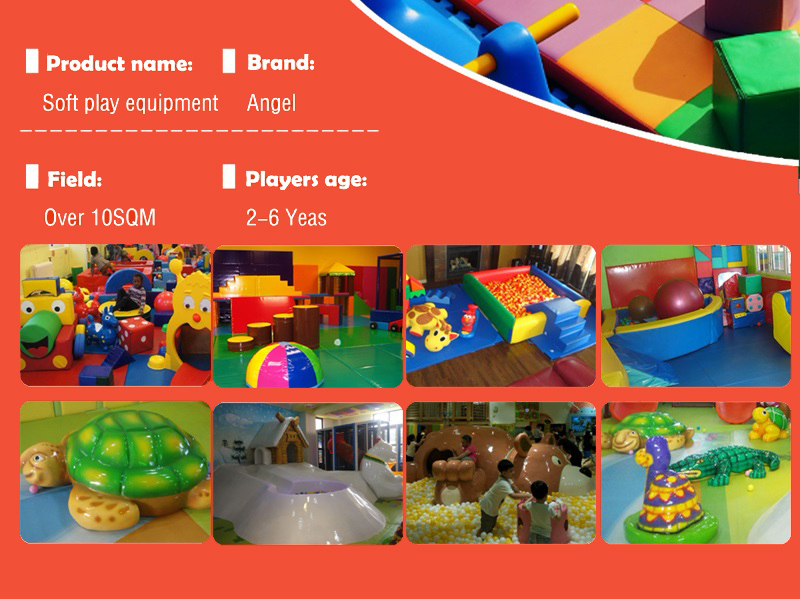 Indoor play structure has many activities which can aggravate children's sense in responsibility and teamwork. They are told indirectly that their job is to help the whole team out of the difficulty. It a good to have them learn what is a brave. Last but not least, the earlier your kids acquired the sensibility of being brave, the easier it is for them to make friends and show a sign of being a good leader in front of teachers and other students after they go to the school. This is no doubt a fortune for their whole life. Indoor play structures can be a really nice place to cultivate your kids as long as you make good use of it. 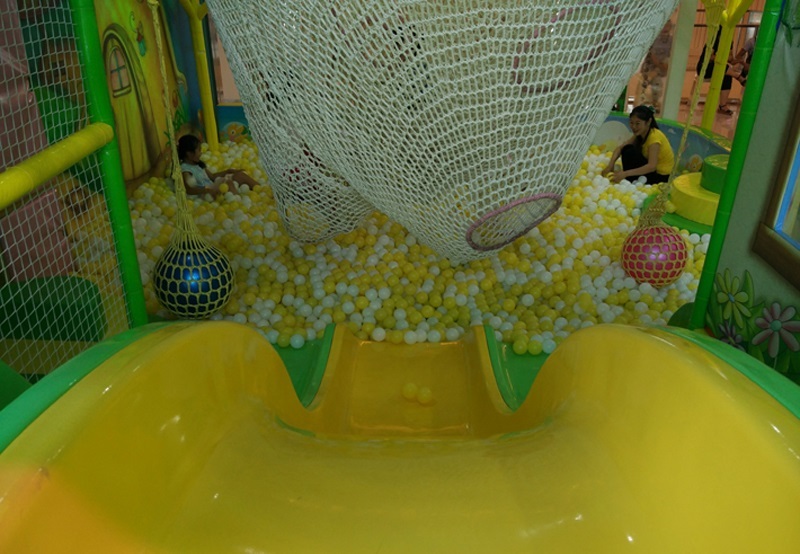 To sum up, children's braveness and courage can be embodied in many things that they do in the indoor play structures. 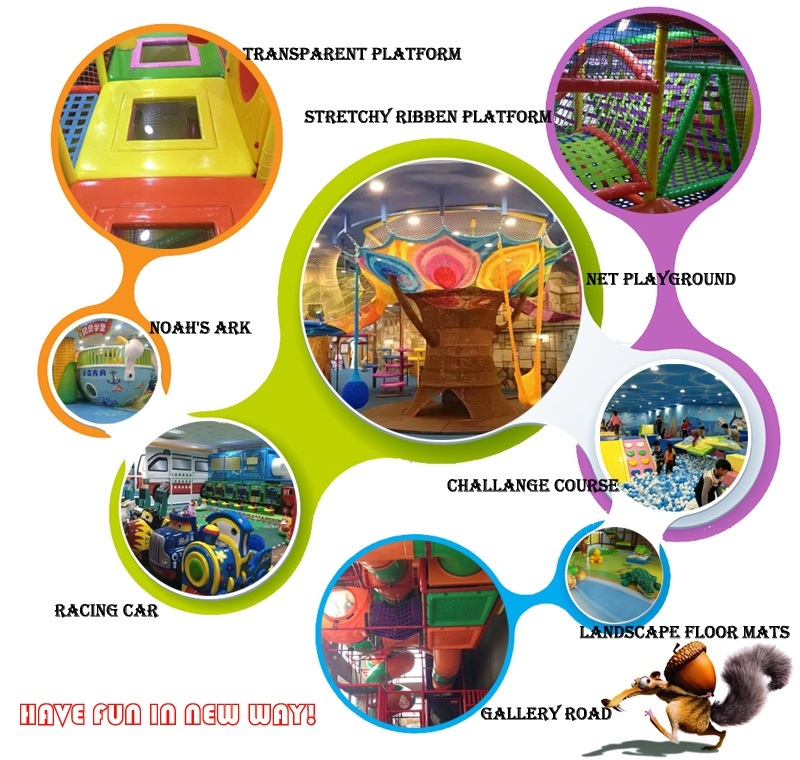 Therefore, the function of an indoor playground has over pass the role it plays in merely amusing the children, they can also have a more importance influence on children's character, being brave is just one of them. I believe that more progress they will make if they treasure indoor play structure as a really good school in their life.